Local attorney Nancy Lord was arrested on Saturday after failing to appear in court last week for her bench trial. Prosecutors said Lord, on numerous occasions, exceeded the limits of what the Nye County code allows as far as how many dogs one can keep on their property. Lord’s bail was set at $50,000 in Pahrump Justice Court on Tuesday. Nye County Chief Deputy District Attorney Michael Vieta-Kabell said Lord’s case began nearly a year and a half ago. Pahrump Justice Court Judge Margaret Whitaker issued a bench warrant for her arrest after she failed to appear Thursday. Lord’s case was originally scheduled late last year. Vieta-Kabell said his office has been frustrated, due to several delays. Additionally, the prosecutor noted previous delays have created headaches for those scheduled to testify in the bench trial. Nye County Ordinance Number 430 requires animal owners with more than five dogs or cats over the age of six months on any property, to obtain a residential kennel permit, while anyone with more than 10 dogs or cats over the age of six months must obtain a commercial kennel permit. The ordinance went into effect on Oct. 8, 2012 after it was approved by the Board of County Commissioners on Sept. 18, 2012. In July 2013, Lord filed a complaint in District Court against Nye County Animal Control seeking either a restraining order against animal control from removing the animals from her property, or expenses to cover her move to remedy the situation created by Ordinance 430. 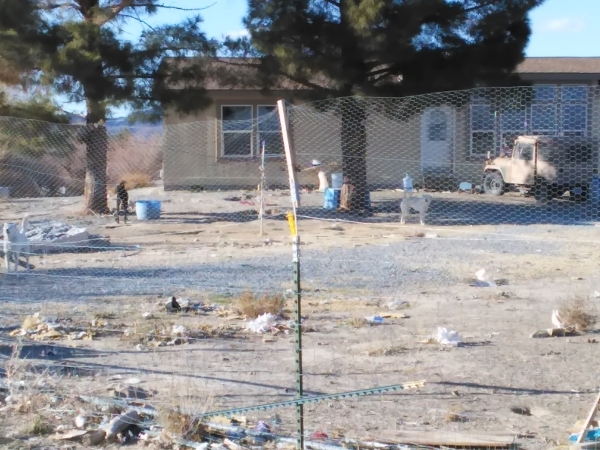 In Sept. 2014, Nye County Animal Control arrived at Lord’s home on Pechstein Street to recover roughly three dozen dogs after previous attempts to assuage concerns raised by her neighbors failed. Vieta-Kabell meanwhile, noted the DA’s office is getting increasingly frustrated with Lord’s apparent inability, or unwillingness to come into compliance with the ordinance and showing for scheduled court appearances.